For consistent and durable effects, any hair program should be continued for at least 3 month. 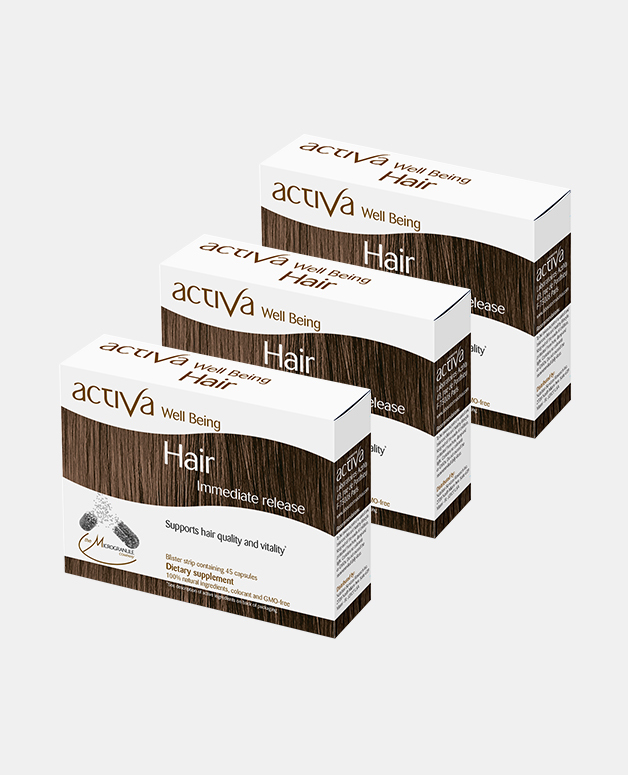 Our Activa Hair Pack is designed to give you 3 months supply at a special price. It will help you fight hair loss, stimulate growth of existing and new hair and improve hair quality & vitality naturally. The nourishing and stimulating properties of this complex fight the factors responsible for hair loss (sebum excess, poor micro-circulation and oxidation). 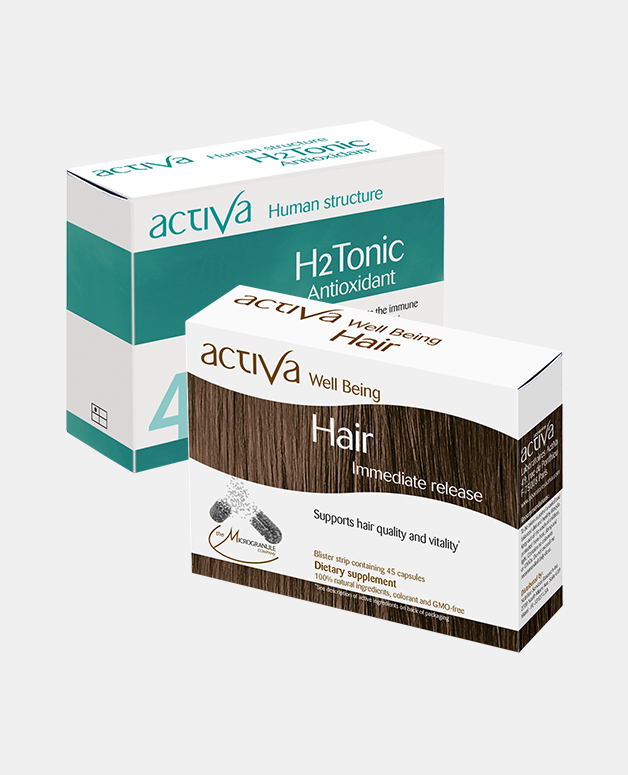 Saw palmetto & nettle extracts: Their combination helps slow down hair loss and promote new hair growth. Watercress: It promotes keratin’s production an favors growth. Blueberry: It contains flavonoid polyphenols (vascular, venous & capillary systems protection properties) to promote hair regrowth. To be taken as part of a balanced and varied diet combined with a healthy lifestyle. Keep out of the reach of children, protected from heat, damp and light. These statements have not been evaluated by the Food and Drug Administration. This product is not intended to diagnose, treat, cure or prevent any disease. It is necessary to consult your medical practitioner to evaluate your health condition and requirements. 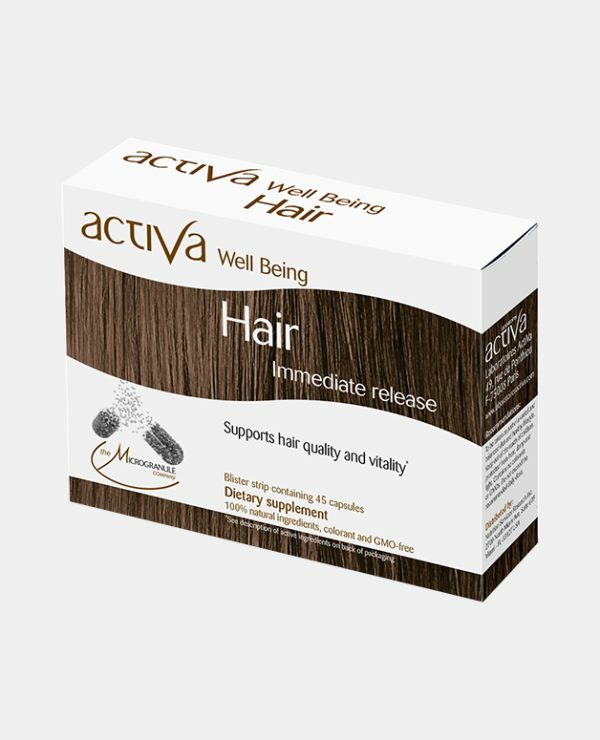 (*) Anti-oxidants (lutein-rich Tagete extract and extracts of Watercress & Bilberry) help regeneration of hair and healthy scalp. Finally a natural product with real and fast results! After few weeks we can definitively see some baby hairs growing. I tried this product during a time when I was very stressed seeing so many hair in my brush every morning. After only a couple of weeks of taking Activa Hair, I felt a change and noticed some baby hair growing. I am very pleased with this product and will recommend it !